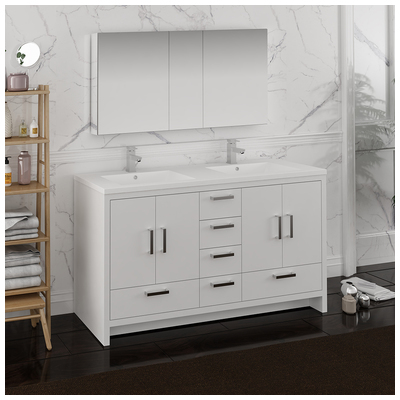 With its elegant White Gloss finish, the Fresca Imperia Freestanding Modern Bathroom Cabinet with Integrated Sinks is the perfect complement to a contemporary space. 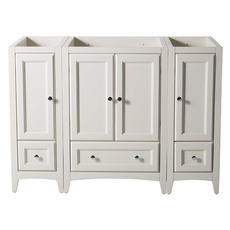 The cabinet doors open to reveal two large storage areas ideal for keeping toiletries, towels or other bathroom essentials handy. Beneath each spacious compartment is a roomy drawer and four deep drawers down the middle that can easily accommodate all your needs. 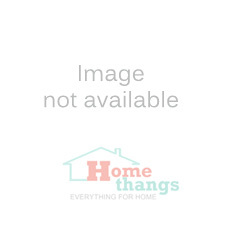 The doors and drawers are fitted with top quality hardware offering soft-closing operation. Polished bar-style chrome handles add to the chic design. Gracing the top of the cabinet is an eye-catching white acrylic-resin countertop/double sink with smooth edges and integrated overflow. The sinks are designed for durability and style and have been pre-drilled to accommodate single hole faucets (included). 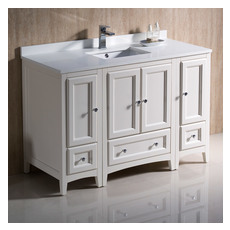 This vanity also comes with a fully mirrored medicine cabinet with four adjustable glass shelves, to complete the look. 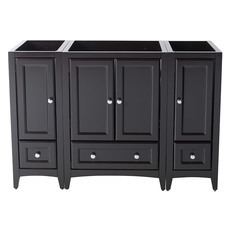 This modern vanity is available in multiple sizes and makes a stylish statement in any home.